Thread: 5 GU Questions with Steve Atwater! 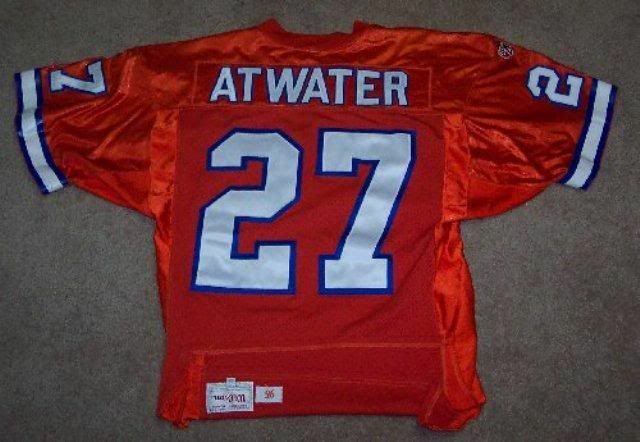 Steve Atwater played in 11 seasons (10 for the Denver Broncos 1 with the New York Jets), was named to the Pro Bowl 8 times and won 2 championships. He is a member of the Broncos Ring Of Fame. Q1: What game used items have you saved from your career? Q2: What's your favorite uniform design? 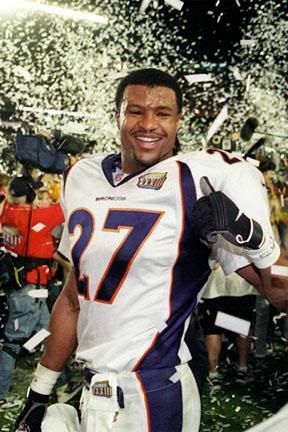 Steve Atwater: The Broncos changed the uniforms in 1997 and we went on to win SB XXXII that year. Those were the coolest uniforms in the league in my opinion. Those uniforms had all the changes I would have made! 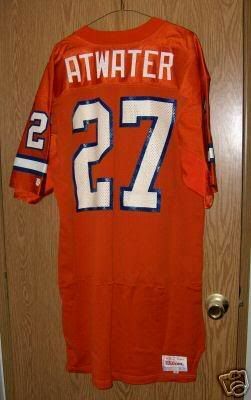 Q3: What do you think about the Steve Atwater game used items you see for sale on ebay or in auction houses? Are they the real thing? Q4: What 3 items- any player, any era, and money is no object would you have in your game used collection? Q5: What do you think about the game used hobby as a whole? 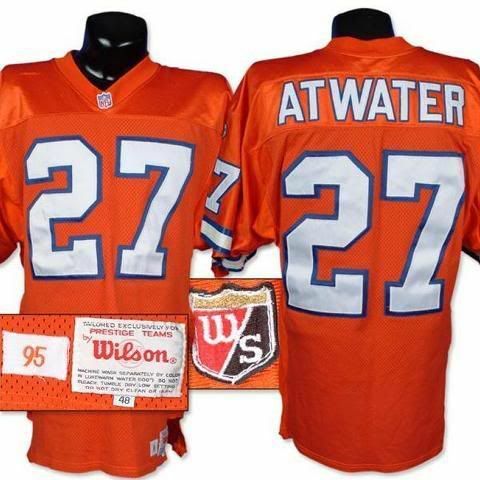 Steve Atwater: I think the game used hobby is an awesome hobby - only if the game used gear is authentic. 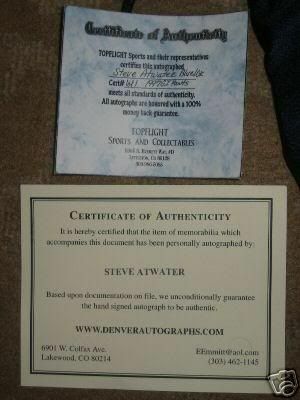 A sports item would mean more to me if I knew it was actually worn by the athlete. 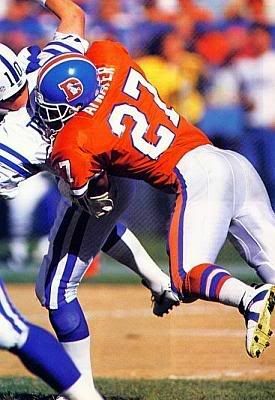 Re: 5 GU Questions with Steve Atwater! Outstanding thread! We need more of these! I agree That was pretty cool. I liked the brief interview. It's almost like Steve visited the board personally. It happened to Schottenheimer again. Actually, it happened to him seven more times after he left the Browns to become head coach of the Kansas City Chiefs in 1989, but that's what playing Elway twice a year will get you. Perhaps Schottenheimer's worst moment came on Oct. 4, 1992, at Mile High Stadium. Denver's offense hadn't scored a touchdown in 12 quarters and trailed the Chiefs 19-6. What's more, Kansas City had spent most of the day knocking Elway to the ground. But he kept popping up and finally got Denver into the end zone on a 25-yard pass to Jackson with 1:55 left. 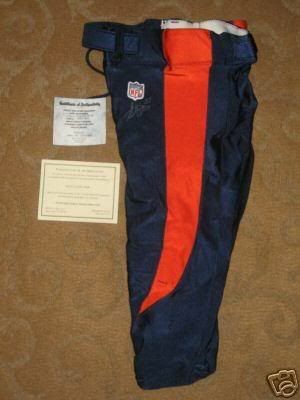 After the Broncos held on defense and returned a punt to the Chiefs' 27, Elway conjured a three-play drive that ended with a 12-yard pass to Vance Johnson with 38 seconds left. Final score: 20-19. "No matter how hard you hit him, he just gets back up and wants more," said defensive end Neil Smith. "Elway is the best two-minute quarterback I've ever played against." Smith's linemate Bill Maas was slightly less anxious to talk about Elway after the game. In a barely audible voice he said, "This is about the sickest feeling I've ever had." Just thought I would share my story! Thanks! 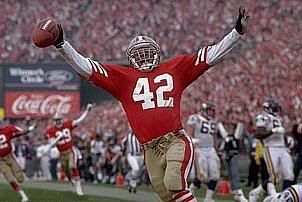 Don't mean to get giddy but I just matched two more points on the jersey to this photo. One to a small tear on the front numeral and the other to a mark elsewhere on the numeral. Very cool! Congrats on the photomatch. Good stuff. By the way we have the next installment of 5 GU Questions ready to go. It should be up in the next couple of days so look for it. Nice work on the photo match. 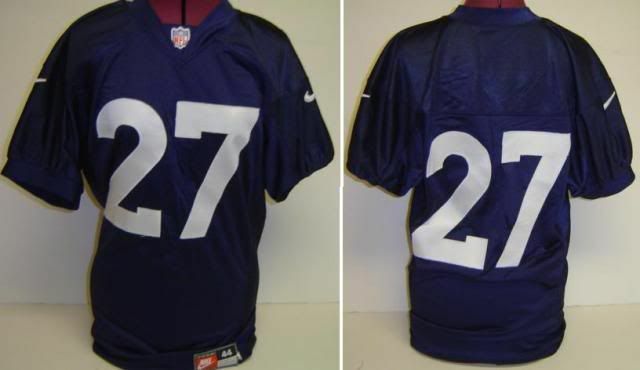 I wish I could photo match my Braxton jersey.